Tell us your story. How did UTP Beyond Borders get started? It all started in 2005, I was one of the university students who did the USA Work & Travel program. I enjoyed it so much that the following year, I convinced my brother to join me so I can share the experience with him and do it all over again! Two consecutive times doing it, I figured that I really wanted to share this program with more people and so I worked with United Towers Turkey. At that time, Philippines was one of only two countries sending Work and Travel participants from March to June, Thailand being the other one. With the Philippines having competitive English language proficiency, it was a practical move that Turkey provided participants from June to September and Philippines would provide participants from March to June. While I was in the Philippines for this UT expansion, I met a woman who dreamed of a First World Philippines. It might be farfetched in this lifetime but to achieve this, we know that we have to have first world citizens first. We both believe in this and know exchange programs are a great way to start bringing this change. So today, this woman is now my wife and the Vice President of the company we have been building since 2011 – United Towers Philippines. 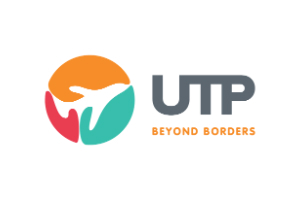 Just last year, Skeeter & I made the decision with our team to rebrand to UTP Beyond Borders to be able to represent what we do better and resonate with our millennial audience stronger. What makes UTP Beyond Borders different from your competitors? We are deliberate in differentiating from our competitors here in the Philippines. There are a lot of things really, but what makes us stand out is our genuine commitment to provide quality service and our eagerness to welcome change. We always try to adapt to the market demand and we see to it that our partners are satisfied with our services. We have the most diverse program portfolio and we only partner with the best. We refuse to settle for anything less. For example, even when Filipinos are known to have very good English communication skills, we still ensure that our participants are fully equipped to meet expectations when they go on their exchange. With our own homegrown ESL platform, iSpeakBetter, which we developed with our tech team in Silicon Valley, we give all our participants access to native language coaches to practice both conversational and business English. All towards our mission to bring the world at everyone’s fingertips – physically and figuratively. When we first started United Towers Philippines seven years ago, we only had two program offerings – the USA Work and Travel and the USA Internship Program, with three office staff catering to 250 participants. Fast forward to today, 2018, we have two offices in the Philippines (Manila and Davao), over 40 people in our team, and four brilliant program offerings – USA Work and Travel, International Internships (USA, Australia, Asia), Camp the World, and TraveLearn; sending almost 2,500 Filipinos in total annually. Our growth in seven years doesn’t stop here but it has been monumental and it’s just great to have a growing team of passionate individuals committed to build a world where everyone can succeed wherever they are, wherever they’re from. What can we expect to see from UTP Beyond Borders in the future? UTP continues to always think outside the box and go the extra mile to open up more opportunities for Filipinos or even for all South East Asians in terms of locations and programs. Down the line, we’re looking into building study exchange programs and research is in the works for inbound programs, so the world can also experience the Philippines. There’s been consistent demand for these and we’re excited to start rolling them out once we’re ready. The Philippines is a bustling country brimming with energy of young dreamers and doers who have grand plans for the country and beyond. The interest to learn outside the classroom and travel the world is very alive here and in spite of the economical and political challenges we face as a country, our students and young professionals continuously explore ways to improve themselves and contribute to building a First World Philippines. And more than just youth craving more experiences, we have seen that in the past seven years, and more so in the past two years, there has been an increasing interest in creating more meaningful work, and really “making your mark”. Some of the older generations tend to think of their legacies in their older age, but the Filipino breed of millennials are increasingly in the pursuit of experiences that do much more than prettify their Instagram feed or other self-centred gains. How do you work to ensure the health and safety of young travellers involved with UTP Beyond Borders? We like partnering with organisations, providers, and suppliers with a great track record and as much as possible, we like meeting them in person. It ensures that the programmes have been established and have been through quality control. Also, we do provide extensive insurance coverages for all our programmes. Our Turkey affiliate, United Towers is a part of WYSE Travel Confederation so we already knew of WYSE. We also have our partners telling us about WYSE Travel Confederation. We wanted to be a part of a prestigious organisation and meet agencies who have the same advocacy as ours. I have joined WYSTC before when we were still a part of United Towers. It was a good and memorable experience. I’ve seen old and new faces, met our partners and fostered new partnerships. I guess it would be the economy. The Philippine economy is not as strong as we first started. UTP Beyond Borders is a cultural and educational exchange consultancy firm that have always envisioned a world where everyone can succeed wherever you are, wherever you’re from.